This is a very interesting post that I wanted to share with you so much. It's the sweetest pinky Blogger party that I ever experience. 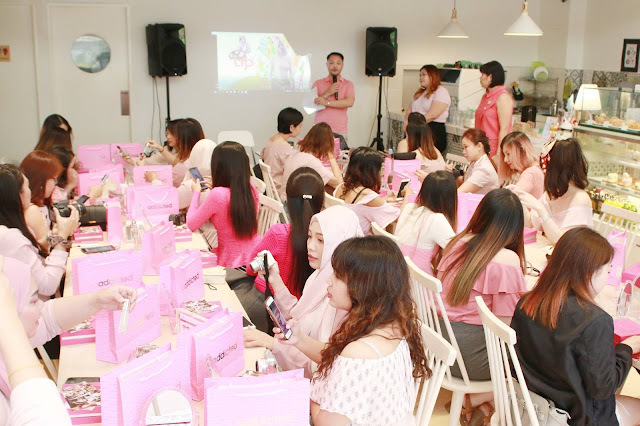 All these happened, many thanks to The Butterfly Projects Malaysia and Lipaddict Malaysia for inviting me to this superlicious and beautiful event that all girl will admire. 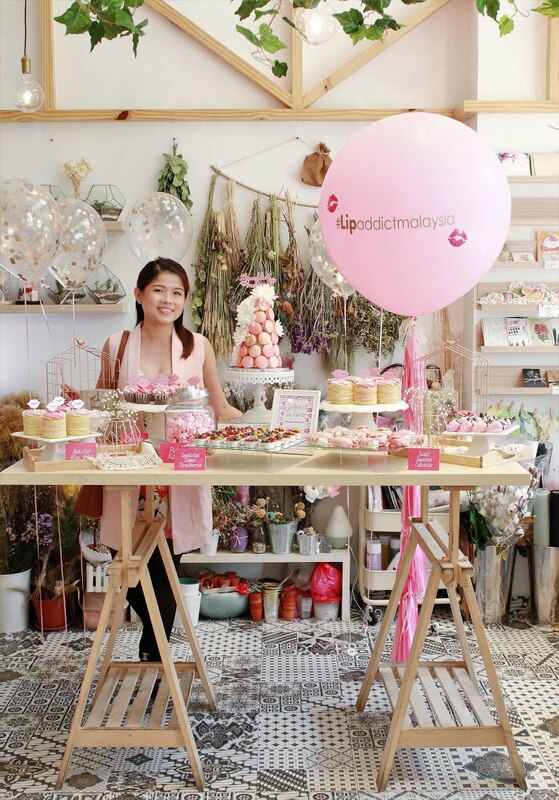 I think the winning part of it is the venue at Happ Cafe, the flower cafe at Petaling Jaya. (If you're nearby can check out them). 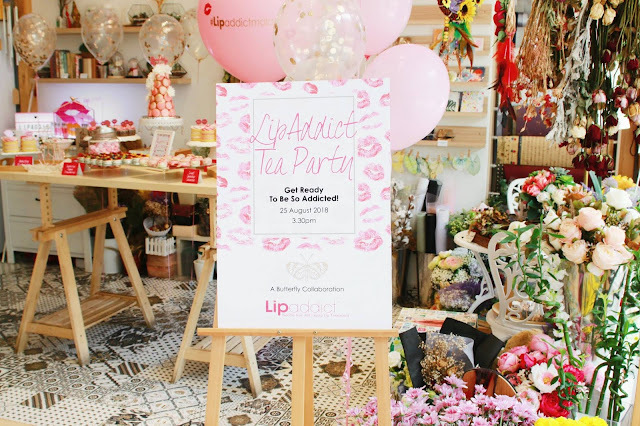 Lipaddict Tea Party with The Butterfly Projects Malaysia girls. 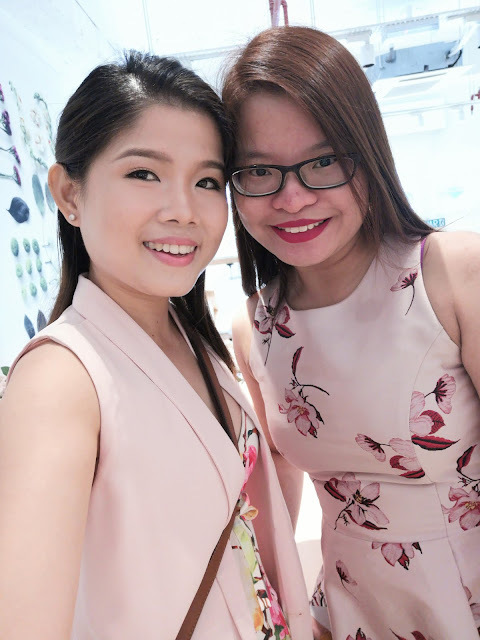 A beauty brands collaboration with Beauty Blogger from The Butterfly Projects community. 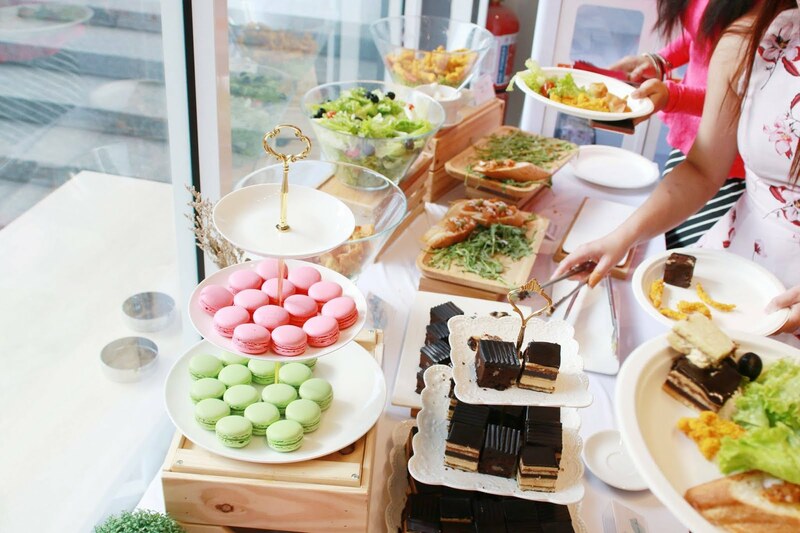 First of all upon arrival, my eye can't run away from this superlicious instagramable desert table by party planner Joey. 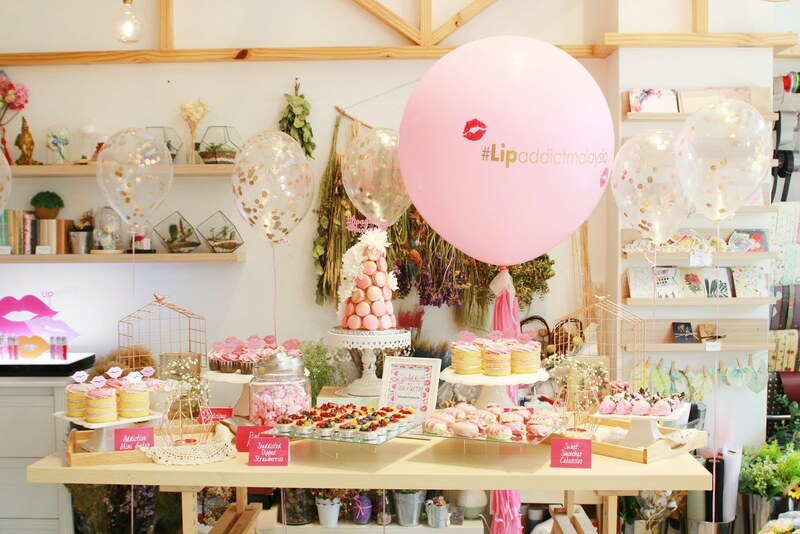 Now let's get to know more about this award winning brands, Lipaddict from Iskin New York. You may not hear about this brand before so me too but it has been sometimes in Malaysia. 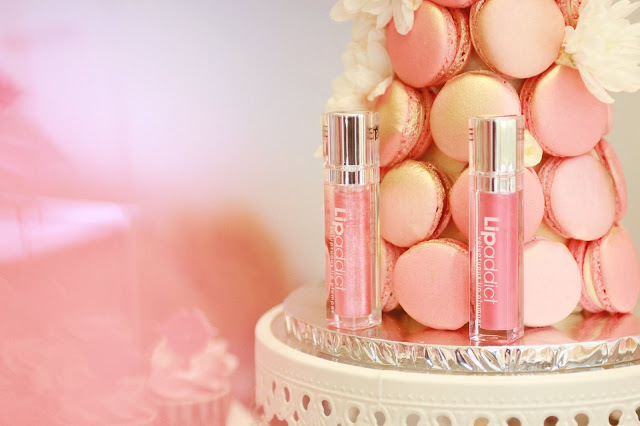 Lipaddict is a lip gloss and it sounds like you'll get addicted to it once apply. I wonder what's make it too. It claims as lip treatment that has anti-aging effect, instant plump, instant healing and instant moisture. You'll then get addicted at the very first swipe! Emcee Dee and Sydney from The Butterfly Projects Malaysia. 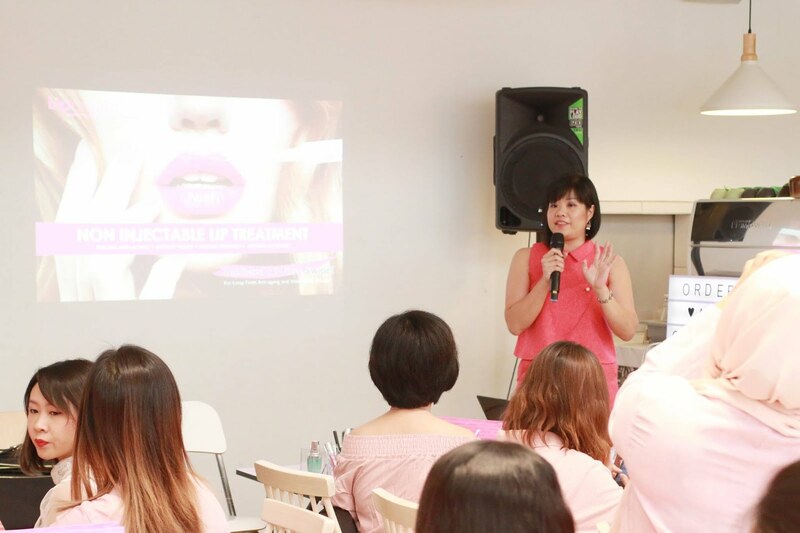 Brand introduction by Lipaddict Malaysia. MUA Fibiee demonstrate 3 wearable make up look for day, night and sleep using Lipaddict products. All butterflies Blooger dressed pretty in pink. 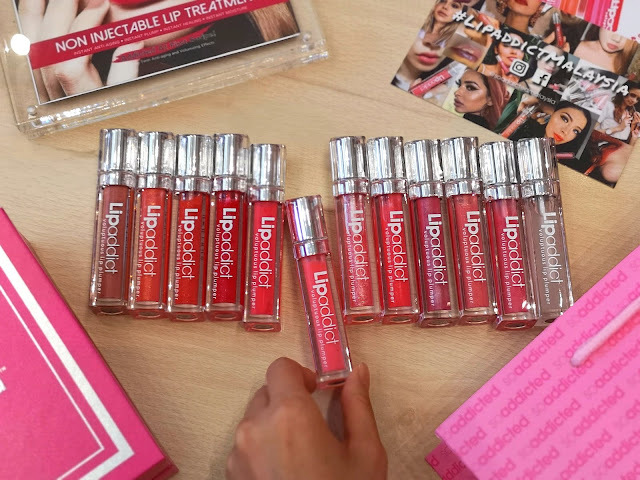 Lipaddict has 12 gorgeous colours available from pink, orange, brown and red shade. See the swatches above. I find all the colours are very light pigmentation and it has the thick shine coated. There is one colourless for night treatment use. It said to heal dry and chapped lips while you sleep with #213 Jewel as bedtime lip treatment to repair and restore moisture on your lips. Lipaddict formulation contains peptides, tripeptides and marine collagen that help to increase collagen production to restore the youthfulness and plumpness of lips. Vitamins C, E, K and organic plant extracts act as powerful anti oxidants for anti aging. Organic moisturizing oils such as castor oil, jojoba oil, apricot kernel oil, grape seed oil help to moisturize, soften, smoothen, condition and rejuvenate lips. Lipaddict is free from parabens, sulphates, hormones, artificial fragrances, gluten, and toxic ingredients of any kind. Also Dermatologist tested and Cosmetics Scientist formulated to be safe and effective. So you have no reasons to feel worry about this brand. First of all the packaging has a pretty standard yet look luxury as you can see. Upon open up, it release a smell of strong yummy cooling just like chewing a bubble gum. Oh man I know why it could get addicted! The applicator has a flat shape that swipe on lips perfectly. You not need extra products taken out cause the texture is thick syrup like. On my lips, I can feel the instant soothing effects (menthol used) and it tasted sweet (stevia plant extracts used). To be honest I don't really taste out my lip colour used on lips cause most of the time it taste bitter. The soothing effects last for a few minutes long before it got faded. 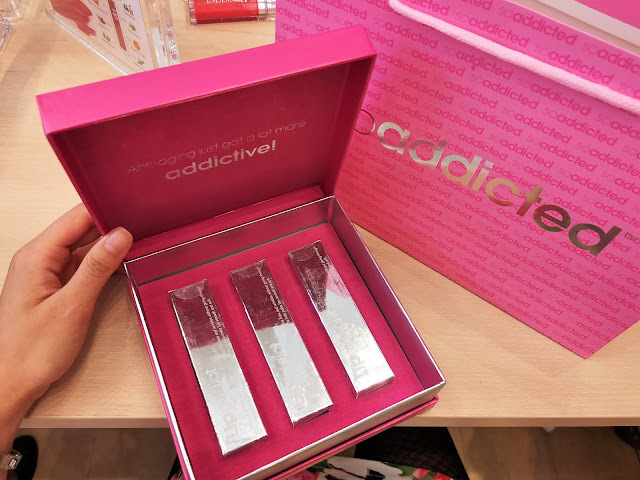 From the photo of before and after, Lipaddict does improves the appearance of lip volume and fullness, less visible fine lines and wrinkles without going through harsh injections. Gently conditions and hydrates to help lips smooth and soft. 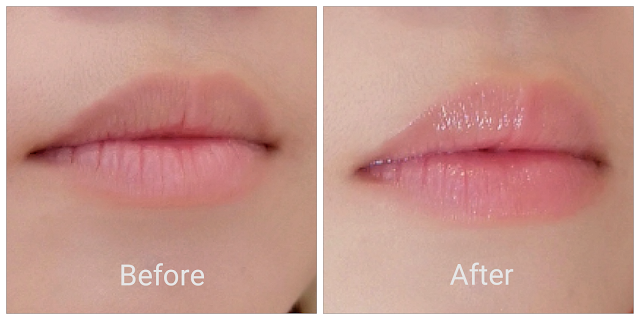 My lips look glossy and more healthy shine with non injectable lip plumper. However, you may feel sticky sensation too. For me my hair could stick on my lips during windy day or if wearing under mask (working in the hospital) the products could transmittable. You'll not see the obvious stained colour cause of the light colour pigmentation. After some times, my lips feel less stickiness and I still could taste the sweetness on. Just that after each meal, you need to reapply again. If you had lip filler or injection done before this, you can use Lipaddict to maintain and enhance your results too. Don't worry is a Dr recommendation too. 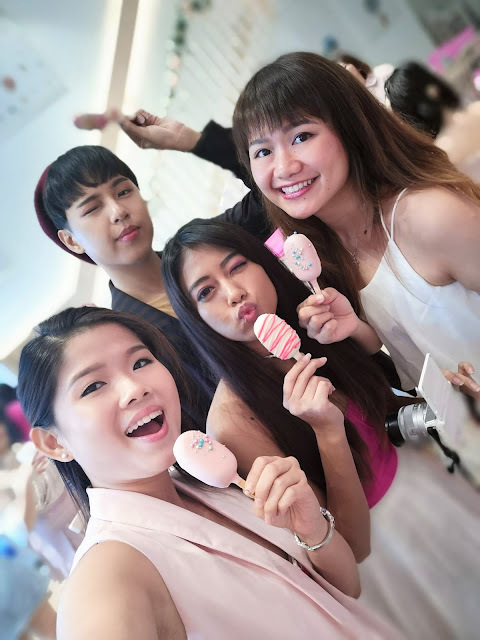 Each butterflies Blogger get to bring back new lip gloss to try. 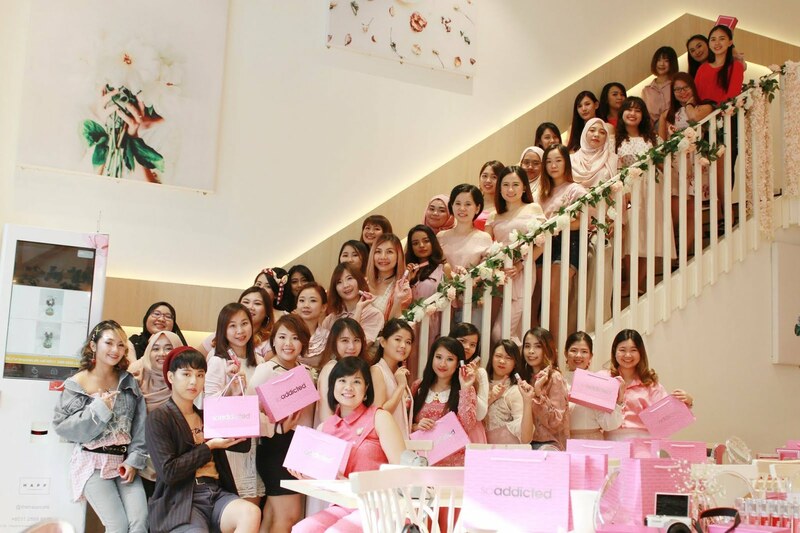 Thank you Lipaddict Malaysia. To get a long term effects, continue application is highly recommended. From what Lipaddict claim, after a month you'll notice that your lips are not only healthier but more defined and hydrated as well. I have been using it on day and night for a few week nows. Currently my lips feel less chapped and I always like the smell, cooling effects and taste sweetness. I guess I'm addicted to it!! Exfoliate your lips regularly and apply Lipaddict Night Treatment #213 Jewel before bed and wake up to smooth and voluptuous lips. Also during day time, apply Lipaddict on its own to achieve the best results or you can layer it with your favourite lip colour to get the look you desire. Make sure to keep a routine to ensure your lips are looking healthy and kissable. 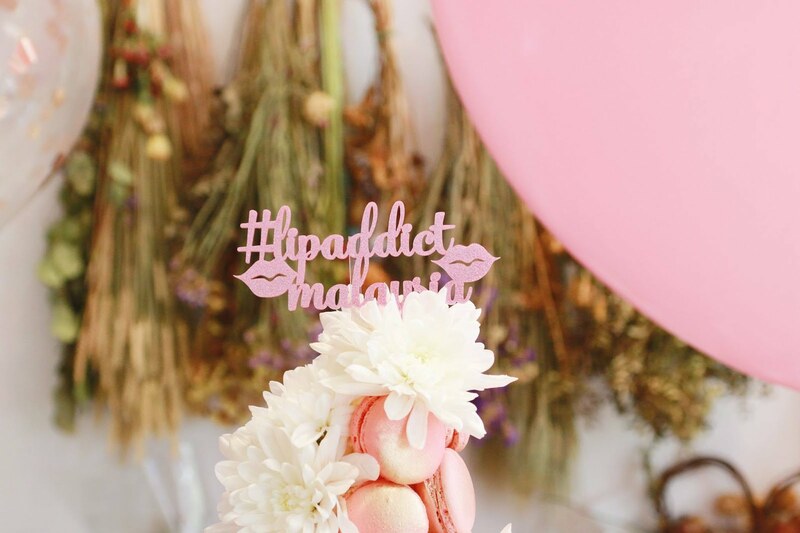 Where to get Lipaddict products? As I mentioned early, this products are less heard cause it doesn't sell at common platform. If you really want to get it, it selling at premium beauty saloon as listed at Klang Valley area. Price range is from RM 100+. You also can check out Lipaddict on Facebook, Instagram and website. 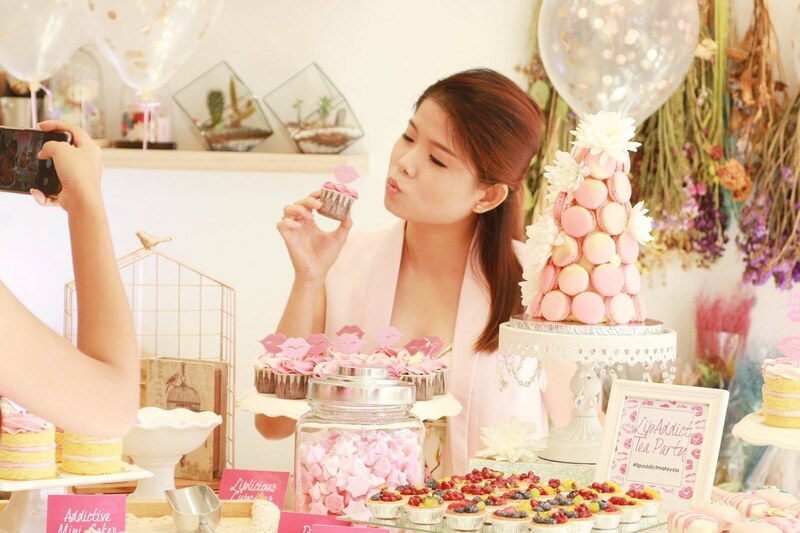 But we are still can't get enough photo because of the too pretty deserts decorations. Special thanks to the photographer Blogger Eros cause a few photo used in this post are taken by him. Also Blogger Yana and Miriam for helping taking photo too. 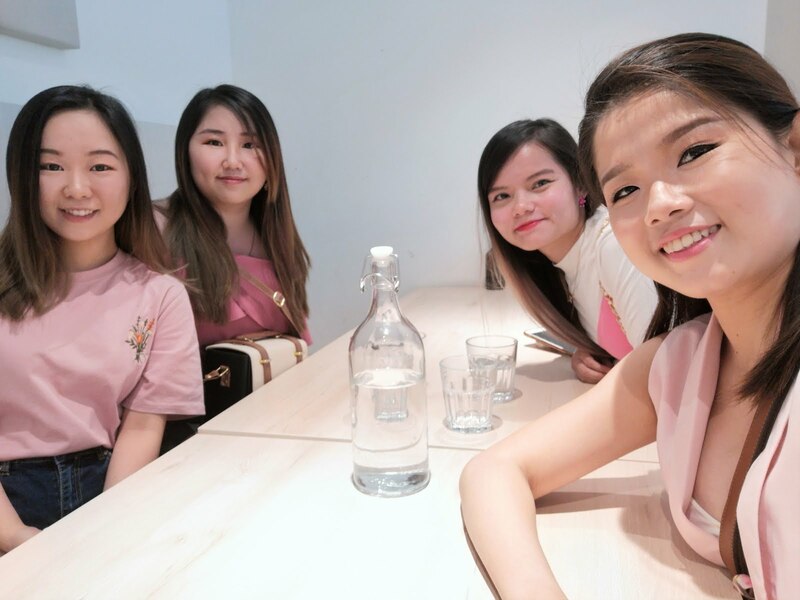 The happy birthdays girls, Blogger Jas that flew from Penang! The early birds Blogger Zoelie, Tiffany, Bee Lee and me. Mingling with each others during tea time. I must give a very good compliment to the desert prepared by the party planner Joey at the desert table. Each desert are decorated in details that suit the theme and tasted so yummy sweet. Also a good compliment to delicious food prepared and service by the Happ Cafe. 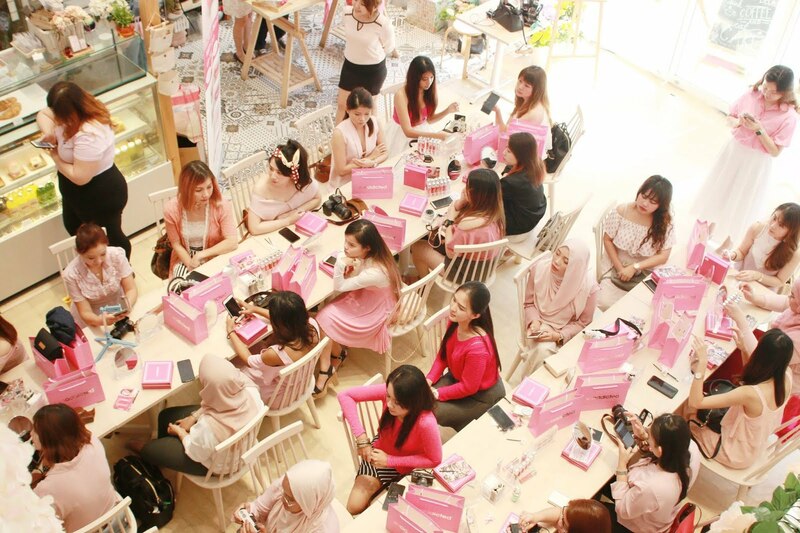 Totally is a good venue if you might think to host a feminine event here. Thank you very much to Lipaddict Malaysia for collaboration with The Butterfly Projects Malaysia. Lastly my pink theme OOTD before went back. 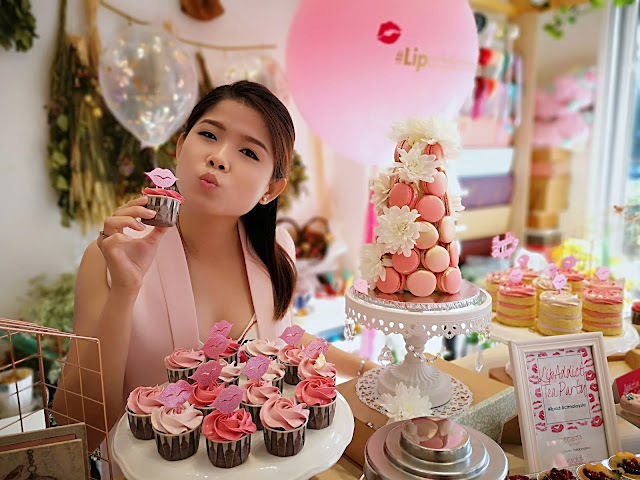 Because I feel addicted to my new lip gloss from Lipaddict, I include a self make video to end this post. Many thanks to my boyie also for using his new babies, colour changing bulb for the pretty effects. Haha.. This post is a collaboration of The Butterfly Projects Malaysia x Lipaddict Malaysia x Ask Joey x Happ Cafe. Thank you for checking out this post.